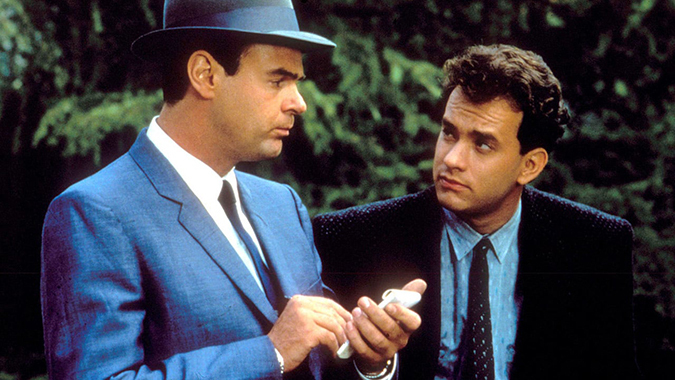 Aykroyd is at his comedic best as the namesake nephew of Detective Sgt. Joe Friday (originally played by Joe Webb). Like his no-nonsense uncle, he’s a blue-suited, by-the-rules Los Angeles cop who’s forced to reluctantly team up with the footloose, wisecracking Pep Streebek (Hanks). Ordered to investigate a seemingly unrelated series of bizarre ritual killings and robberies, they eventually uncover a dastardly plot by an underground pagan group to undermine all authority in Los Angeles. Can this mistmatched duo rescue the City of Angels from the machinations of a power-mad Reverend and corrupt Police Commissioners before it’s too late? Harry Morgan (“M.A.S.H.”) reprises his original TV series role as Bill Gannon; co-stars adding to the hijinks and hilarity include Dabney Coleman, Christopher Plummer and Alexandra Paul. Though the names have been changed to protect the innocent, Shout! Factory is guilty as charged for creating a criminally good line-up of bonus features including a brand new interview with co-star Alexandra Paul entitled”A Quiet Evening in the Company of Connie Swail” and new audio commentary from pop culture historian Russell Dyball. 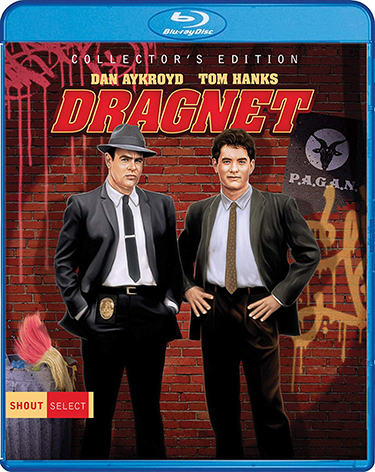 Additionally, consumers interested in intercepting the Blu-ray prior to its retail parole, can order the collector’s edition directly from shoutfactory.com ; the Collector’s Edition will ship two weeks early and, while supplies last, will include a free 18×24 rolled poster featuring brand new artwork.